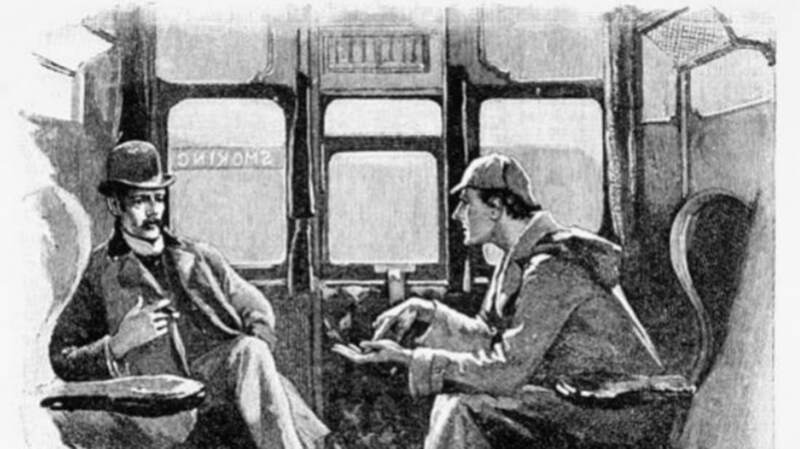 It looks as if Sir Arthur Conan Doyle will eventually come to be considered an even greater detective than he made out Sherlock Holmes to be. Doyle, who was born 157 years ago today, had found himself embroiled in a case that captured worldwide media attention for the fact that he, and not his famous sleuth, was trying to solve it. In 1906, a man named George Edalji was freed from prison after being sentenced for the crime of animal cruelty. He stood accused of injuring horses and cattle in Great Wyrley, and also of writing letters threatening to do the same to women. Upon his release, he wrote to Doyle asking for the celebrated author’s help in proving his innocence. Doyle’s theory of the man’s innocence was largely dependent on his eyesight. In a remarkably Holmes-esque observation during their first meeting, Doyle noted Edalji held his newspaper close to his face. Since the animal mutilations had taken place at night and the criminal would have had to navigate a series of obstacles, he figured Edalji’s vision was too poor for the accusations to make sense. Not everyone was convinced. The chief constable, George Anson, did not appreciate Doyle inserting himself into what police considered a closed case. Doyle was not simply posturing as an amateur sleuth: he was a pest, bombarding Anson almost daily with letters questioning their investigation, offering alternative theories, and using his celebrity to keep the case in the newspapers. Since Edalji had already been freed, his intention was to get some kind of financial compensation for the wrongful conviction. Anson responded unkindly, dismissing Doyle’s ideas and delivering sharp retorts. Doyle was a “contemptible brute,” Anson remarked. But the author would not be dissuaded, even when an anonymous letter had been delivered to him that was threatening in tone and insisted Edalji was the guilty party. It led him to believe the guilty party was worried enough to try and shut Doyle’s efforts down. By this point, he had isolated his suspicions to Royden Sharp, a former sailor who was said to be aggressive and once showed off a horse lancet capable of inflicting the wounds seen in the injured animals. Doyle would later learn the letter was not written by a suspect, but instead commissioned by an unlikely tormentor: Constable Anson. Despite Anson’s attempts to embarrass Doyle, the author had too large a platform for the Home Office to ignore. In 1907, they pardoned Edalji of the mutilation crimes, which allowed him to return to work as a solicitor. But they refused to apologize or offer any restitution. Doyle was frustrated by their stubborn reaction, but his efforts had one crucial impact on British law: the publicity surrounding Edalji led to the creation of an official Court of Appeals, easing the process for future defendants. Though Doyle won over the court of public opinion, he failed to solve the case: Sharp was not seriously investigated by police. Whoever had stalked the horses, cows, and sheep during those nights in Great Wyrley has never been identified.